What was your favorite part of MAPH? What do you remember most fondly about MAPH? MAPH gives you a lot of time to do things you wouldn’t be able to do otherwise, and think about things you’re unlikely to think about later. A lot of the overarching goals of my work – finding persuasive ways to express the value of human dignity, analyzing how people interact with institutions – was something that Andre Bazin, the person I wrote my Master’s thesis on, wrote a lot about, even if it was in an entirely different context. AfterMAPH(TM), I went to the Czech Republic because I was chasing after a girl (who I would later get married to). I took a job with a local business magazine covering banking and finance, mostly because it paid me money, but I quickly found that I was fairly good at getting information from strange places and explaining it in clear words. When my wife finished her schooling, we relocated to Beijing, where we both spoke the language. 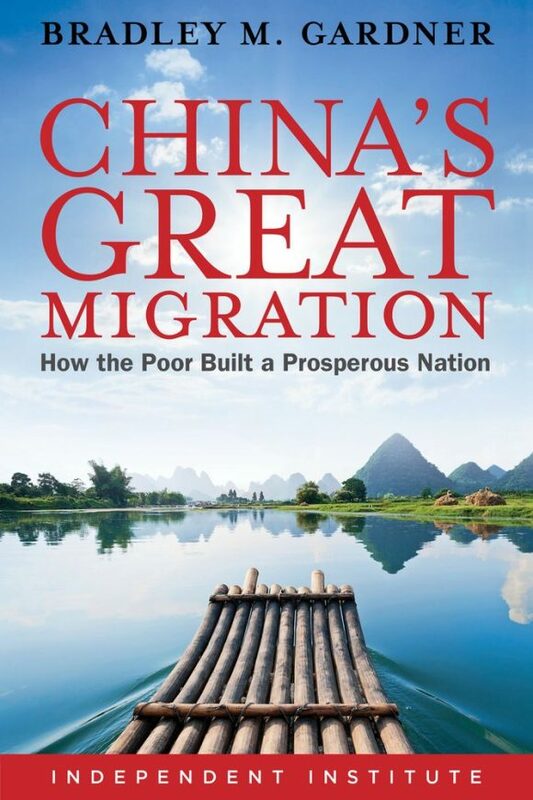 I covered China for about seven years, first as a journalist, then as an economic researcher with the Economist Group, until I joined the Foreign Service in 2014. This entry was posted in Academics, Alumni, Publications and tagged Academics, Alumni, Writing on April 5, 2017 by aewilliams. Connections between academic work in MAPH and careers in service – whether in non-profits, through education, or as an entrepreneur – are essential to thinking about how the humanities function in practice as well as in the academy. Mercedes Trigos (MA ’13) graciously agreed to share some of her thoughts on the transition from MAPH to service back to academic life, and how her experiences with S.I.S.T.E.R.S., Inc inform her current work teaching writing skills at a Chicago arts school. Learn more about her experiences below! What was your favorite thing about your MAPH year? This entry was posted in Academics, Alumni and tagged Academics, Alumni, Meet an Alum, Teaching, Writing on May 6, 2014 by kerith. 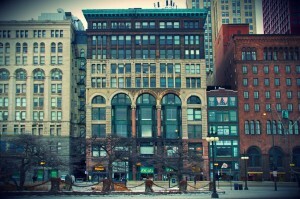 Browne & Miller is located in the historic and lovely Fine Arts building on Michigan Avenue. This entry was posted in Academics, Alumni, Internships, Job Search, Publications and tagged Academics, Alumni, Internship, Publishing on September 27, 2013 by Jessica Haley. Lesson #1: If you don’t have time, make time. This entry was posted in Academics, Alumni, Internships, Job Search and tagged Academics, Alumni, Internship on September 19, 2013 by steinhardt. Below is an update from recent MAPH Alum Bart Pushaw (’13) on his Fulbright in Estonia. For graduate students interested in applying for Fulbright, the deadline for the 2014-15 year is September 30th, 2013. 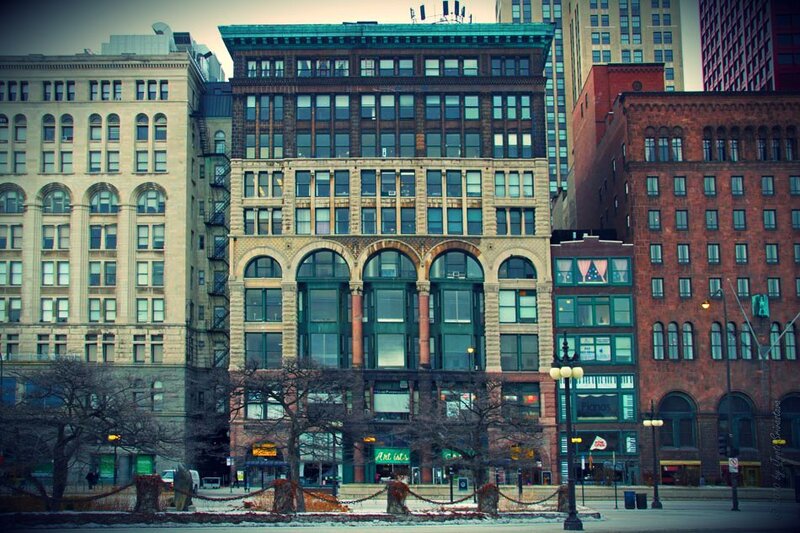 You can find more information on the University of Chicago’s Graduate Affairs website. In his book Estonia: A Ramble Through the Periphery, Alexander Theroux devotes an entire chapter to why he abhors the small Baltic country. The first two pages of the last chapter are filled exclusively with sentences beginning with, “I hated…” While his disgust for Estonia, accrued while accompanying his wife during her Fulbright fellowship in Tallinn, treats banal facets of quotidian life in the country, it is all too easy to fall into his trap and blindly agree with him. Estonia is obscure, the proper names are strange in comparison with Anglo-American standards (take, for example, the names Tiit, Ene, Aat, Epp, etc. ), and beating your naked self with birch branches in a 80°C (172°F) sauna before rolling (your still naked body) in the snow to only jump in a freezing lake might seem a little extreme. But, such a nation would be obscure to Americans growing up in the Cold War era, where Estonia did not exist until it emerged among a plethora of so-called “random” post-Soviet states in 1991 (actually, the Republic of Estonia was also sovereign entity from 1918-1940). And Estonian names are, in fact, normal to Finns—of course a result of Estonians and Finns descent from a singular ancient Finno-Ugric, and notably non-Indo-European, culture. Besides, beating yourself in a sauna is something that really should be experienced before it is written off! This entry was posted in Academics, Adventures, Alumni and tagged Academics, Alumni, Grants, travel on September 12, 2013 by kerith. 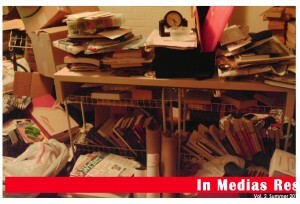 The cover page for In Medias Res, the Odyssey Project’s publication. Check out MAPH Alumnus Greg Langen’s (’13) reflections on his internship at the Odyssey Project. Also be sure to see the Odyssey Project’s latest issue of In Medias Res, edited by Greg Langen. This entry was posted in Academics, Adventures, Internships, News, Teaching and tagged Academics, Internship, Publishing, Teaching on September 9, 2013 by kerith. I first heard about the Odyssey Project during a “What am I going to do with my life?” conversation with Hilary Strang, who teaches Critical Thinking and Writing to Odyssey students. To be honest, I wasn’t really sure what I was getting into, other than what I knew from the description on the Illinois Humanities Council website: “The Odyssey Project provides a college-level introduction to the humanities through text-based seminars led by professors at top-tier colleges and universities to help adults with low incomes more actively shape their own lives and the lives of their families and communities.” This sounded compelling, but my true motivation at the time was gaining some solid tutoring experience for future job applications. I began tutoring with the OP in January, which meant I hung out at Robust Coffee Lounge on 63rd and Woodlawn for an hour or two on Saturdays. To get familiarized with the students and the course content, I began sitting in on weekly U.S. history classes. During the first day, students voiced their personal perceptions of America, and I was hooked. These students were eager to participate, brutally honest, and ready to learn. Attending the classes and meeting students during the Saturday writing workshops was a learning experience for myself; not only was I reading new texts that I had always meant to read but never got around to, but I was meeting students, hearing their individual stories, and learning how the Odyssey Project was directly impacting their lives. Although I was familiar with the OP through my tutoring experience, this internship has given me the opportunity to really dive into the inner workings of the organization and learn about the variety of often-unseen responsibilities that go into non-profit administration. I was unsure what to expect going in, so I was surprised by how much independence and responsibility I have as an intern. I feel like I am actually able to do significant work within the organization, such as developing new events and workshops to provide continuing resources to enrich and sustain the community of OP alumni. I was given the opportunity to design and lead a creative writing workshop on my own, which was the most amazing (and nerve-wracking) experience. Searching for relevant readings, developing in-class writing exercises, and leading weekly workshops of about fifteen students without direct guidance was scary at first, but I now feel much more confident in my ability to design curriculum and teach adults. But even more than that, leading the workshop was a way for me to get to know the students that this organization serves; learning their stories and hearing how the Odyssey Project has affected their lives has shown me that I am working for an organization that I can really believe in. It may sound hokey, but this mentality is quite a change from my past jobs at hair salons and property management companies—this is a job where I am actually excited to come into work to see what else can be done to help make the Project even better. In the midst of final papers and thesis work, all of MAPH was encouraged (at the time, “harassed” seemed like the proper word) to think beyond the last harrowing weeks of school and apply to the summer internships offered through the program. Looking at the list, I was both confused and intrigued by the Odyssey Project. After I did a little research and talked to Hilary Strang, I thought it sounded like a great opportunity to combine my interests in humanities scholarship with a growing desire to get involved with the kind of socially progressive work done by non-profit organizations like the Illinois Humanities Council. After I took the Teaching in the Community College course offered by MAPH, I became more concerned with the social and economic barriers facing many adults who want to pursue higher education. The Odyssey Project tries to eliminate more of these barriers than any other educational institution that I am aware of—even covering bus fare and providing childcare during the classes. This entry was posted in Academics, Alumni, Internships, Teaching and tagged Academics, Alumni, Internship, Teaching, The Odyssey Project on August 10, 2012 by marenr. Check out this article at the Chronicle of Higher Education. It tackles four assumptions about American higher education that turn out to be false. Most of these assumptions deal with the recent economic recession and the supposed effects that recession has had on colleges and universities in the U.S. This entry was posted in Academics, News and tagged Academics on November 12, 2009 by jgafney. Anna Piepmeyer (MAPH ’07) is the Ambassador of Awesomeness for the new peer networking site, Dweeber (think of her as the equivalent to Tom of MySpace; if you join the site, she is automatically your friend). This site, however, distances itself from other peer networking sites, sites that usually serve as distractions to things like school work by actually serving to specifically help students with their homework and school assignments. Catering most predominantly to primary and secondary school age groups (though I can imagine this being helpful even in MAPH situations, especially in trying to figure out Core material! ), the site lets its users see what assignments their friends are doing so that they can work on assignments together, ask each other questions, post helpful web links, give directions, etc. This entry was posted in Academics, Alumni, Teaching and tagged Academics, Teaching, technology on September 26, 2008 by Linda. 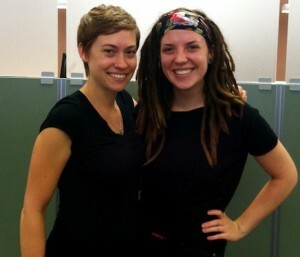 Jennifer Shook graduated from MAPH in 2005 and is currently doing work at Chicago’s Caffeine Theatre. She submits this post with the hopes of generating conversations with other (After)MAPHers after being inspired by her work with the theatre company. The same week I started in MAPH, Caffeine Theatre premiered its first show. For the past three years, I’ve been working as the Artistic Director of Caffeine Theatre, and striving to make the same kinds of connections through our performances and programming that I tried to make in my U of C classes. The kinds of connections that get people talking. About important things. Because if we don’t talk about the Big Questions, how can we begin to work them out? This entry was posted in Alumni, Entertainment and tagged Academics, conversation starters, Entertainment, Teaching, Theater on October 25, 2007 by Linda.